Passanger Steamer: Built in 1880 at Philadelphia, PA; Acquired by the Navy in April 1918 at Portsmouth, VA; Commissioned 1 April 1918; Returned to her owner, Bennett's North Carolina Line, 15 September 1919 at Norfolk. Fate unknown. Specifications: Displacement 214 t.; Length 133' 8"; Beam 20'; Draft unknown; Depth of hold 7'; Speed 13 kts. ; Complement unknown; Armament none. 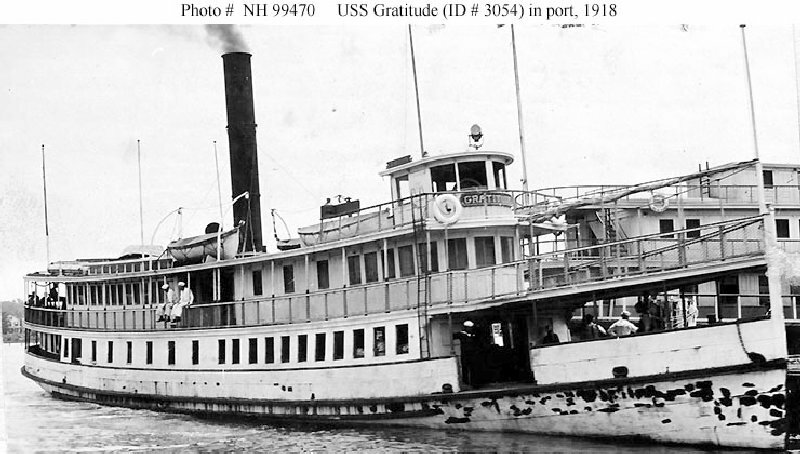 90k In port, possibly in the Norfolk, Virginia, area when she was inspected by the Fifth Naval District on 11 June 1918. 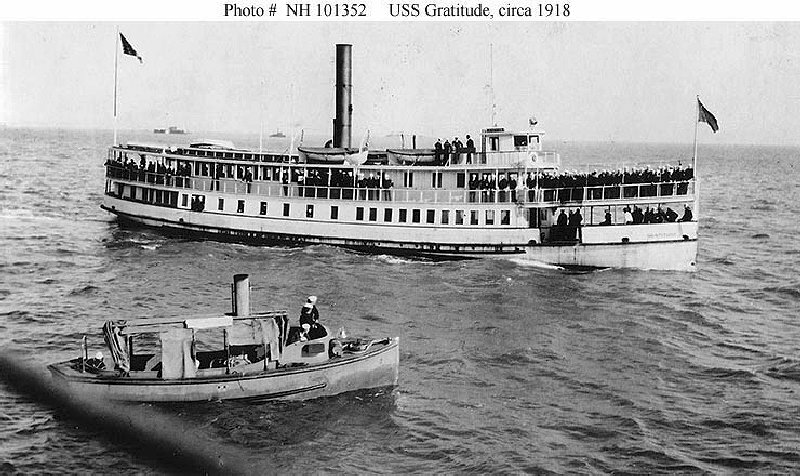 114k Serving as a supply boat during World War I, with a large number of Sailors on board. This photograph was possibly taken from USS Iowa (Battleship # 4) in the Hampton Roads area, Virginia, in 1918. A steam launch from Iowa is in the foreground.